A purse from the Once Upon A Time range. 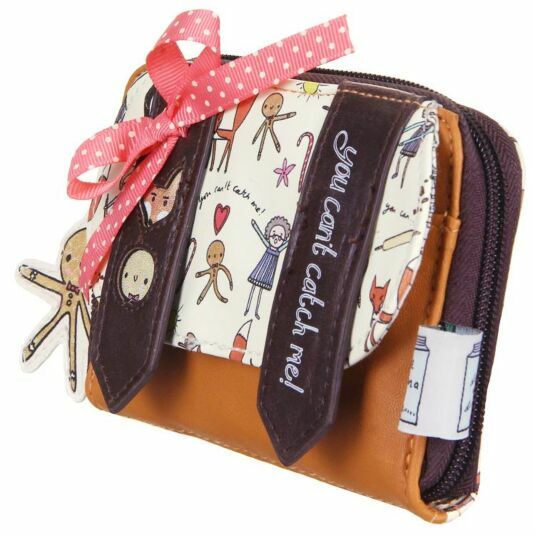 This cute purse features the fairytale story of the Gingerbread Man, and is created by Disaster Designs. 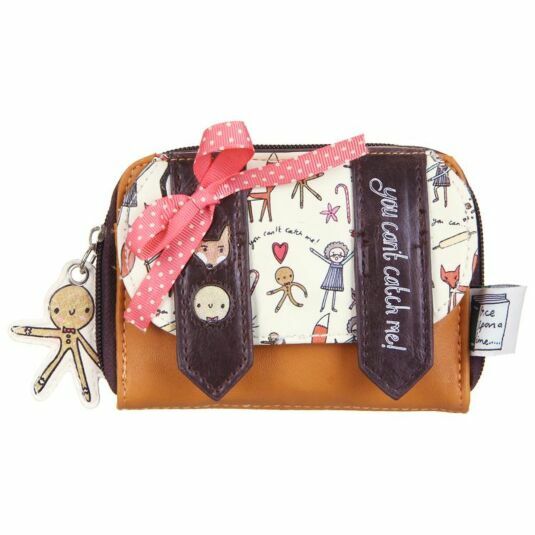 Part of the Once Upon A Time Range, the purse features characters from the Gingerbread Man story, including (obviously!) the Gingerbread Man himself and the wily fox. The purse has "you can't catch me!" 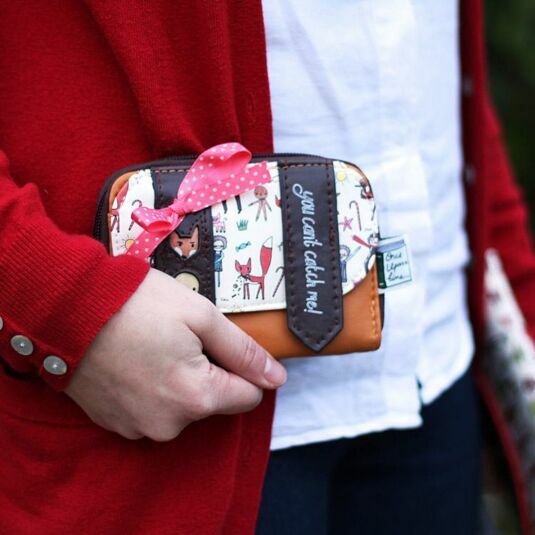 written across its strap, and features a red polka dot ribbon. 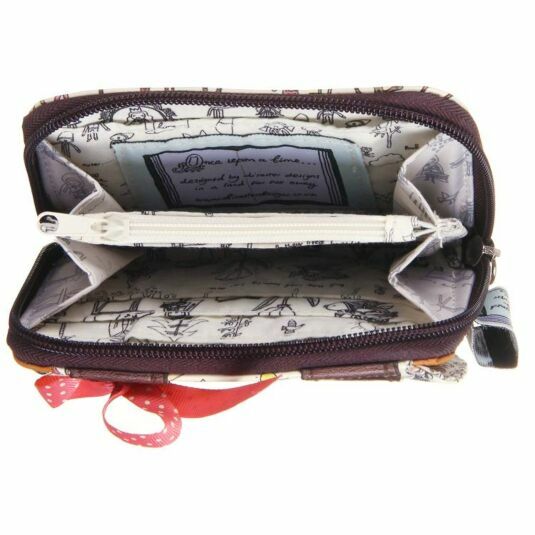 The inside contains a zipped pocket for keeping any coins, pockets to put cards in, and general pockets for notes and anything else you need to store! A lovely gift for fairytale princesses and wicked queens of all ages. A beautiful range from Disaster Design, Once Upon A Time features some of our favourite and most iconic fairytale characters. 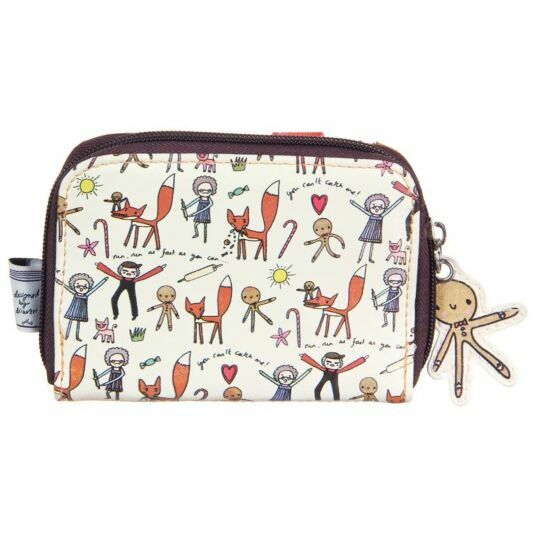 Little Red Riding Hood, Hansel and Gretel, and Snow White take centre stage in adorably cute designs suitable for both adults and children alike. The perfect range for the nostalgic and those who are still young at heart.